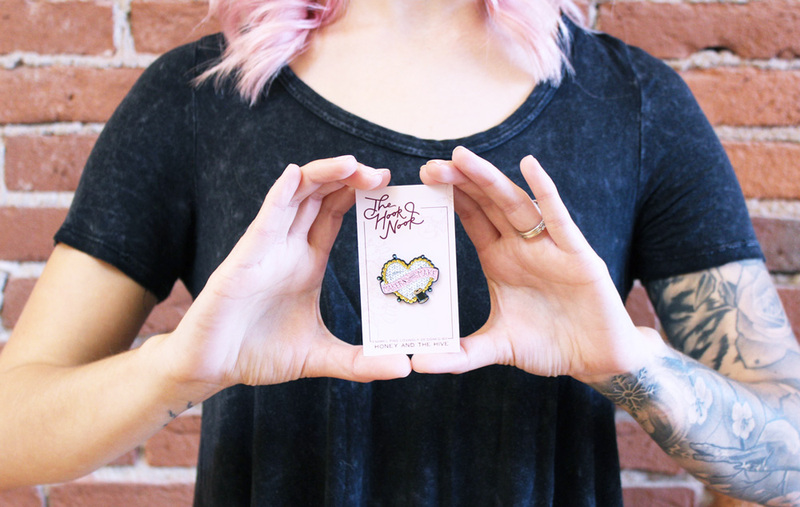 Have you seen the new enamel pin trend? It's sure hard to miss if you browse around social media! Adorn your project bag, purse, jacket (or anything really!) 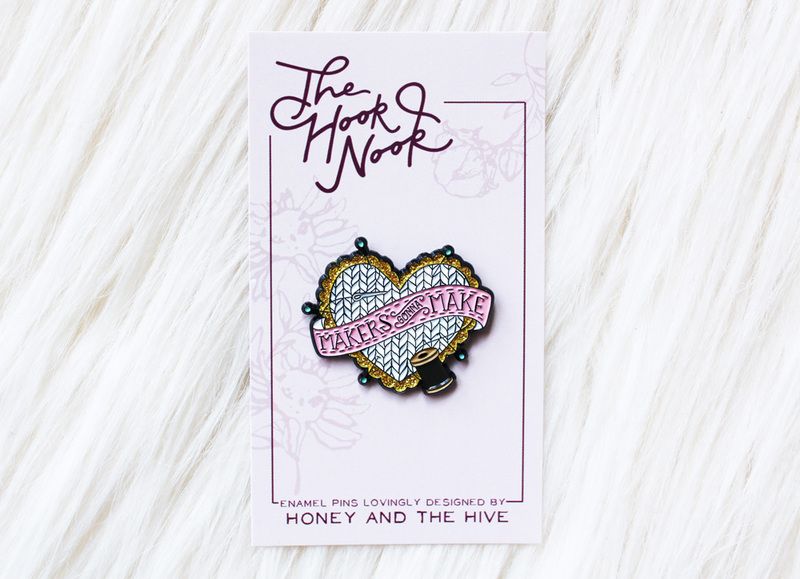 with this super cute "Makers Gonna Make" enamel pin custom designed by Kelsey from Honey and the Hive! These collaboration pins are definite must-haves! "Makers Gonna Make" pins are for my fellow Makers to proudly to flaunt their love of making!